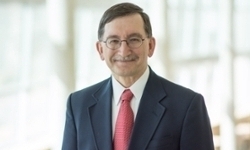 UNMC › Pathology and Microbiology › Faculty › Bios › Timothy C. Greiner, M.D. Dr. Timothy Greiner has served as the Medical Director of the TNMC Immunohistochemistry Lab and the Molecular Diagnostics Lab during his tenure at UNMC. In both clinical laboratories he has introduced new automated technology, which has helped transform the way clinical testing is performed and has provided research assays for hematopathology colleagues in the Center for Leukemia and Lymphoma Research. Dr. Greiner’s research interests have included the study of the mutational spectra of genes (ATM, BCL6 and TP53) to help understand the etiology and progression of lymphomas including: diffuse large B-cell lymphoma, mantle cell lymphoma and post-transplant lymphoproliferative disorders (PTLD). His search for a useful molecular biomarker for PTLD has involved the molecular epidemiology of EBV, somatic mutations, single nucleotide polymorphisms and early efforts in characterizing the T-cell repertoire with next generation sequencing. Currently, he is the Director of Hematopathology in the department . Dr. Greiner's clinical responsibilities include the interpretation of hematopathology-related surgical specimens, bone marrow biopsies, immunohistochemistry, molecular assays including gene rearrangement studies and 50 gene mutation for targeted therapy. He has developed high performance molecular assays for T-cell receptor gamma rearrangements for diagnosing lymphoma using denaturing gradient gel electrophoresis and capillary electrophoresis. He obtained funds from the University of Nebraska Medical Center/Nebraska Medicine to grow offerings in Clinical oncogenomics in the department . This has resulted in the acquisition of next generation sequencers in the clinical laboratory, the addition of a Bioinformaticist, to enable the development of more multigene panels. To learn about Dr. Greiner's research, please visit his research lab webpage. Single nucleotide polymorphism-arrays provide new insights in the pathogenesis of post-transplant diffuse large B-cell lymphoma. Rinaldi A, Capello D, Scandurra M, Greiner TC, Chan WC, Bhagat G, Rossi D, Morra E, Paulli M, Rambaldi A, Rancoita PM, Inghirami G, Ponzoni M, Moreno SM, Piris MA, Mian M, Chigrinova E, Zucca E, Favera RD, Gaidano G, Kwee I, Bertoni F. Br J Haematol. 2010 May;149(4):569-77. Epub 2010 Mar 3. Identification and functional relevance of de novo DNA methylation in cancerous B-cell populations. Wang XM, Greiner TC, Bibikova M, Pike BL, Siegmund KD, Sinha UK, Müschen M, Jaeger EB, Weisenburger DD, Chan WC, Shibata D, Fan JB, Hacia JG. J Cell Biochem. 2010 Mar 1;109(4):818-27. Molecular signatures to improve diagnosis in peripheral T-cell lymphoma and prognostication in angioimmunoblastic T-cell lymphoma. Iqbal J, Weisenburger DD, Greiner TC, Vose JM, McKeithan T, Kucuk C, Geng H, Deffenbacher K, Smith L, Dybkaer K, Nakamura S, Seto M, Delabie J, Berger F, Loong F, Au WY, Ko YH, Sng I, Armitage JO, Chan WC; International Peripheral T-Cell Lymphoma Project. Blood. 2010 Feb 4;115(5):1026-36. Epub 2009 Nov 18. Genome wide DNA-profiling of HIV-related B-cell lymphomas. Capello D, Scandurra M, Poretti G, Rancoita PM, Mian M, Gloghini A, Deambrogi C, Martini M, Rossi D, Greiner TC, Chan WC, Ponzoni M, Moreno SM, Piris MA, Canzonieri V, Spina M, Tirelli U, Inghirami G, Rinaldi A, Zucca E, Favera RD, Cavalli F, Larocca LM, Kwee I, Carbone A, Gaidano G, Bertoni F. Br J Haematol. 2010 Jan;148(2):245-55. Epub 2009 Oct 12. A new immunostain algorithm classifies diffuse large B-cell lymphoma into molecular subtypes with high accuracy. Choi WW, Weisenburger DD, Greiner TC, Piris MA, Banham AH, Delabie J, Braziel RM, Geng H, Iqbal J, Lenz G, Vose JM, Hans CP, Fu K, Smith LM, Li M, Liu Z, Gascoyne RD, Rosenwald A, Ott G, Rimsza LM, Campo E, Jaffe ES, Jaye DL, Staudt LM, Chan WC. Clin Cancer Res. 2009 Sep 1;15(17):5494-502. Epub 2009 Aug 25. Extranodal marginal zone lymphoma of the dura mater with IgH/MALT1 translocation and review of literature. Bhagavathi S, Greiner TC, Kazmi SA, Fu K, Sanger WG, Chan WC. J Hematop. 2008 Sep;1(2):131-7. Epub 2008 Jun 18.
t(14;18)-negative follicular lymphomas are associated with a high frequency of BCL6 rearrangement at the alternative breakpoint region. Gu K, Fu K, Jain S, Liu Z, Iqbal J, Li M, Sanger WG, Weisenburger DD, Greiner TC, Aoun P, Dave BJ, Chan WC. Mod Pathol. 2009 Sep;22(9):1251-7. Epub 2009 May 22. Stromal gene signatures in large-B-cell lymphomas. Lenz G, Wright G, Dave SS, Xiao W, Powell J, Zhao H, Xu W, Tan B, Goldschmidt N, Iqbal J, Vose J, Bast M, Fu K, Weisenburger DD, Greiner TC, Armitage JO, Kyle A, May L, Gascoyne RD, Connors JM, Troen G, Holte H, Kvaloy S, Dierickx D, Verhoef G, Delabie J, Smeland EB, Jares P, Martinez A, Lopez-Guillermo A, Montserrat E, Campo E, Braziel RM, Miller TP, Rimsza LM, Cook JR, Pohlman B, Sweetenham J, Tubbs RR, Fisher RI, Hartmann E, Rosenwald A, Ott G, Muller-Hermelink HK, Wrench D, Lister TA, Jaffe ES, Wilson WH, Chan WC, Staudt LM; Lymphoma/Leukemia Molecular Profiling Project. N Engl J Med. 2008 Nov 27;359(22):2313-23. Membrane-type 1 matrix metalloproteinase regulates macrophage-dependent elastolytic activity and aneurysm formation in vivo. Xiong W, Knispel R, MacTaggart J, Greiner TC, Weiss SJ, Baxter BT. J Biol Chem. 2009 Jan 16;284(3):1765-71. Epub 2008 Nov 14.